Whether it's because of the eponymous movie or their famed frozen hot chocolates, Serendipity's original location in NYC is a tourist hotspot (trap?). 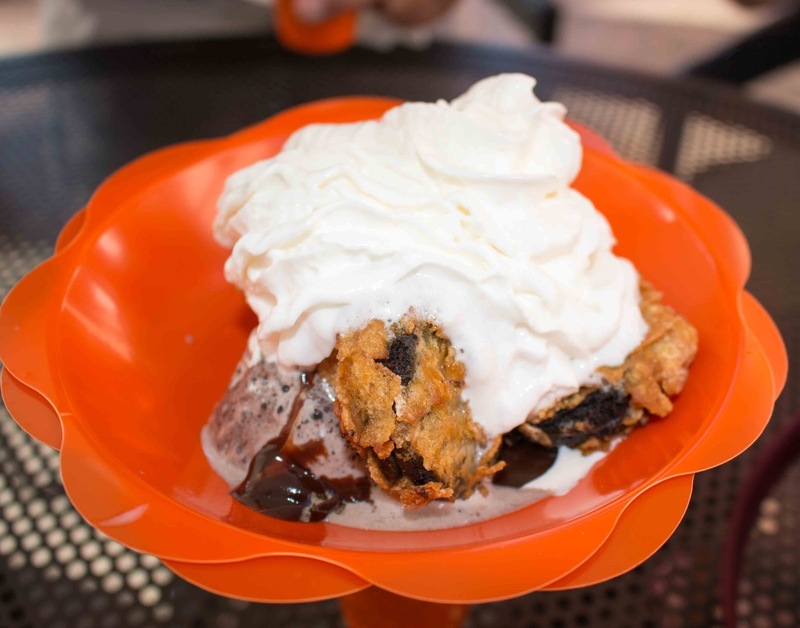 And with offerings that include a ridiculous $1,000 Golden Opulence sundae, a Vegas outpost was only right. It's located outside Caesars Palace, on the walkway towards the Bellagio. Pro tip: If you want to sit inside, you need to order a full-on meal. 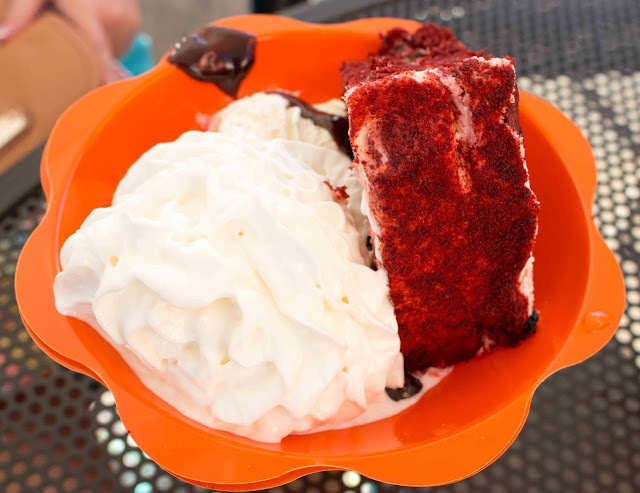 However, they do offer the option of ordering at the to-go window if you're fine with enjoying your dessert al fresco! Over the years, I've been dulled to all that is the frozen hot chocolate. Overrated and overpriced in my opinion, this features chilled "hot" chocolate. 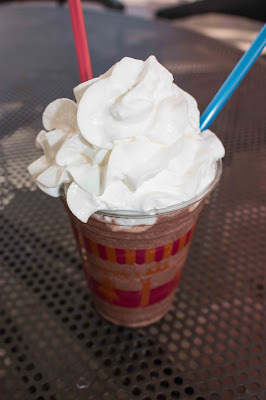 You can essentially taste the texture from the crystallized sugar from the hot chocolate packet mix, with a huge dollop of whipped cream on top. If you have your Caesars Palace Total Rewards card, there are quite a few offerings that offer bargain prices. The red velvet sundae offers rich red velvet cake with a great cream cheese frosting, paired with vanilla ice cream and hot fudge. If you're looking for a gut bomb, check out the deep fried oreos, which had a crisp surrounding batter, revealing gooey Oreos within. The vanilla ice cream was a nice cooling base for each bite. 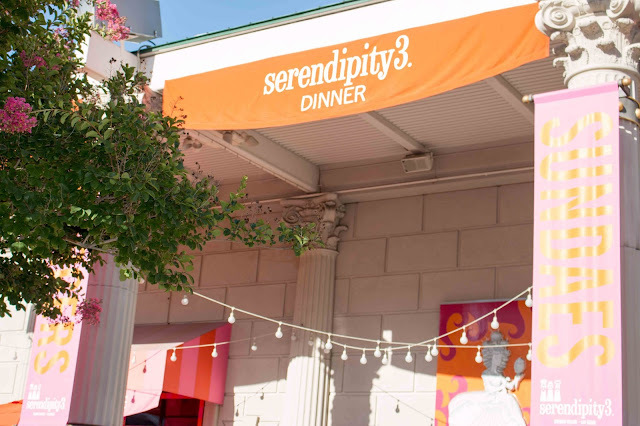 So if you're looking for sweet treats, I'd personally recommend skipping the frozen hot chocolate and trying out the other options on Serendipity's dessert menu.